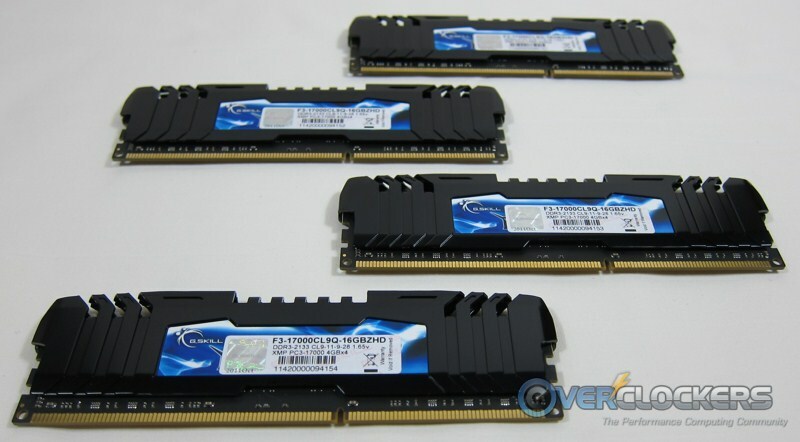 Manufacturers the world over are all gearing up for the launch of Intel’s upcoming Sandy Bridge – E platform based on the X79 chipset. 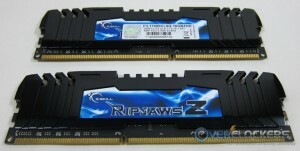 G.Skill is ahead of the game and has already sent us one of their brand new memory kits. 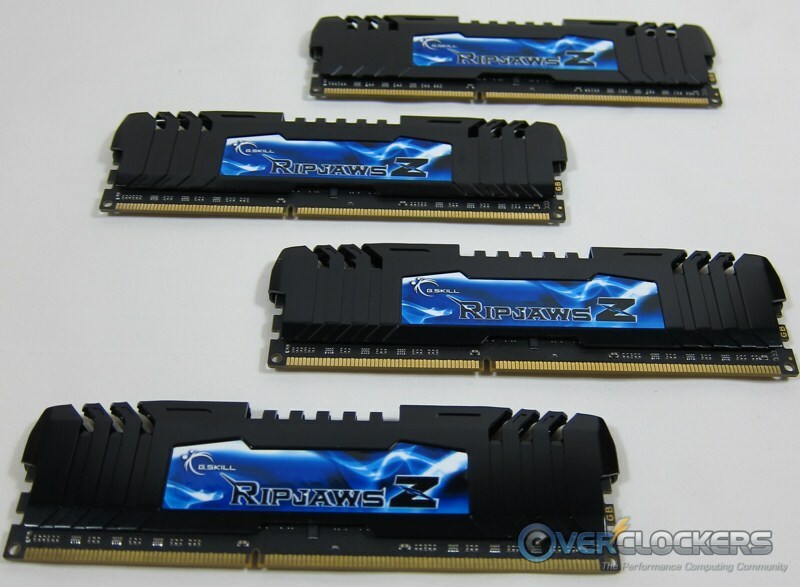 G.Skill has come up with a new version of their Ripjaws line for the X79 launch – Ripjaws Z. These sticks boast some impressive specs for such a giant kit. Once you open the box, you actually see this is two matched kits together. The four sticks are matched, they just come in two separate boxes. 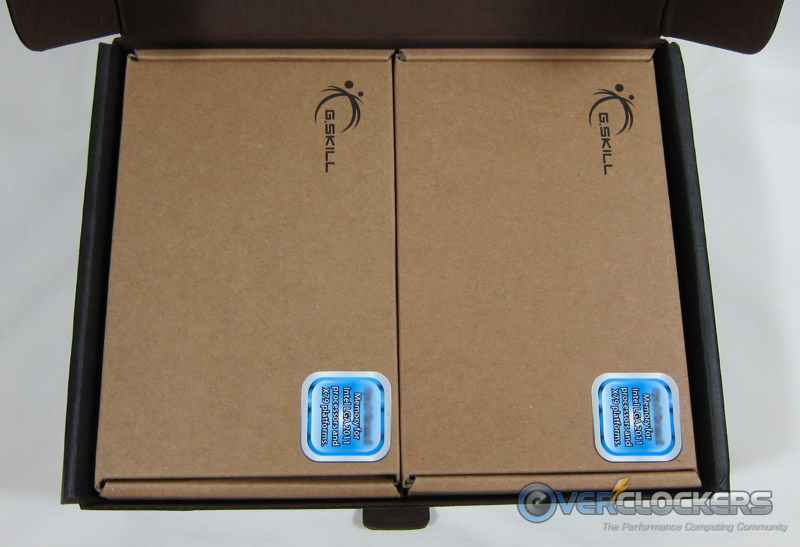 You’ve seen boxes like that before in earlier G.Skill reviews. 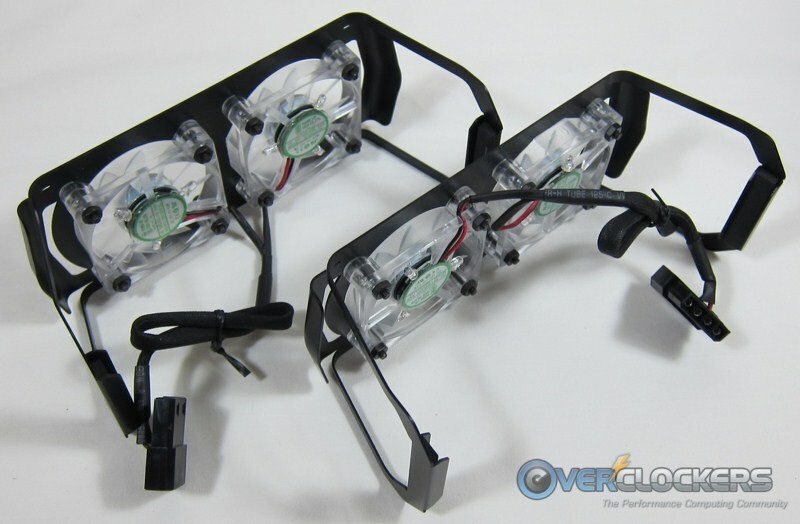 They look like that because they hold G.Skill’s fans. 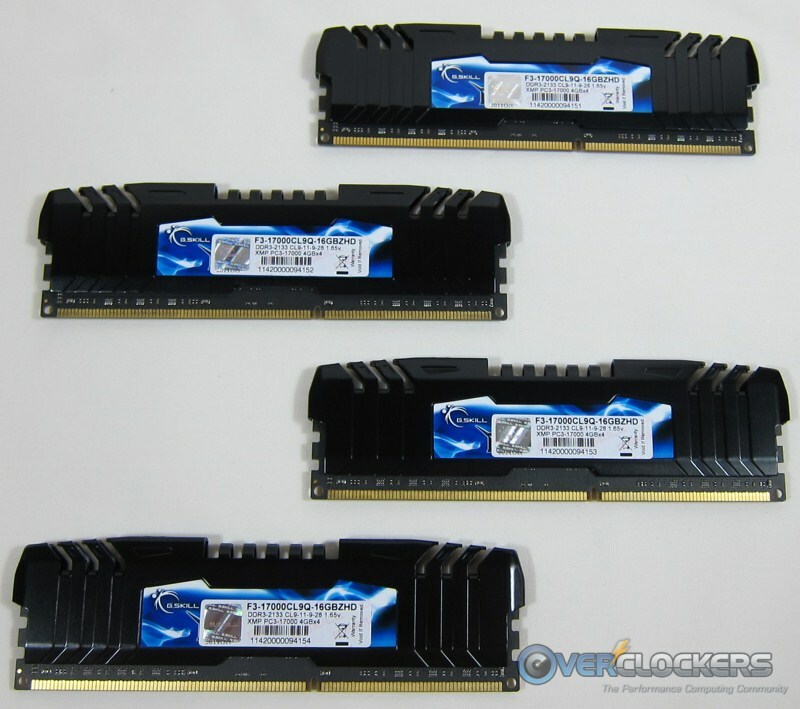 In this case, because of the configuration on upcoming X79 motherboards, you need two of them – one per pair of sticks. What else is in the box? Oh, right…RAM! 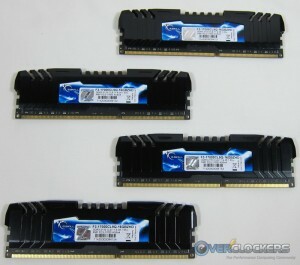 Lots of RAM. Since we obviously aren’t able to show any performance numbers (yet…), we’ll just stick to what I’m good at and show you lots of pictures. Intel’s new platform is quickly approaching. 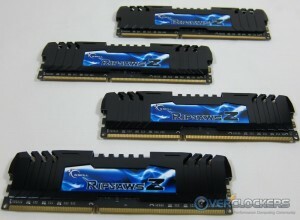 Gigabyte has previewed their X79 boards as has ASUS. 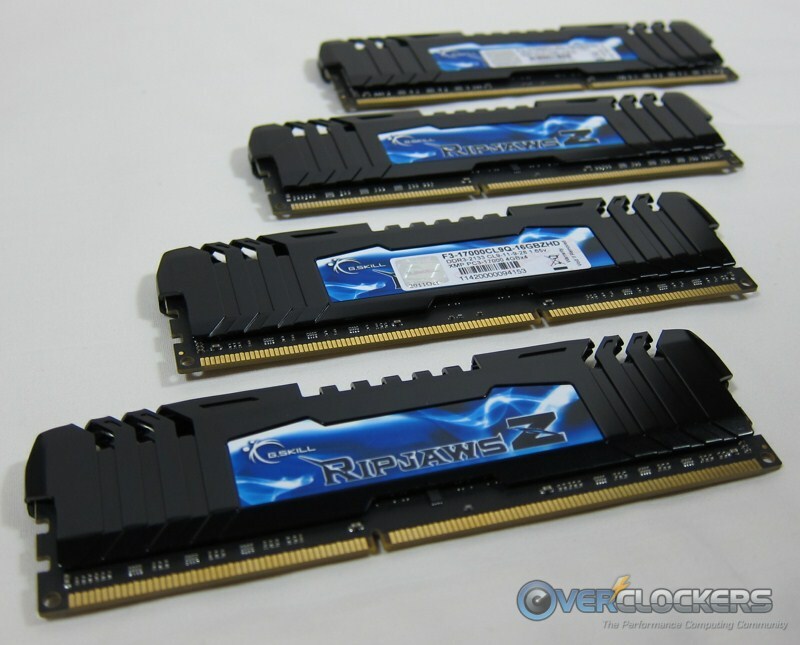 Now we see a killer looking RAM kit. It’s not too far off now folks, Sandy Bridge-E is near! Next Article bmwbaxter Benching Bulldozer Live Tonight! That's all the pix we get????? Or did the copy paste function blow up? Lots more in the article. No idea about the ICs. 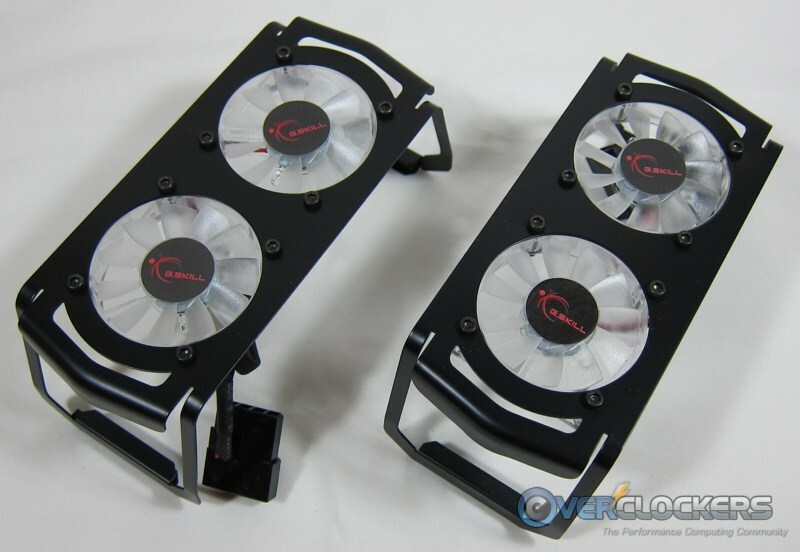 G.Skill doesn't release that info and I'm always afraid I'll mess up a stick if I try to pull the heat spreaders off myself. As far as price, G.Skill doesn't even know yet. There is a DDR3-2133 / 9-11-10-28 kit at Newegg for $199, but these are one louder at 9-11-9-28. I'm told there is more to that seemingly small difference than meets the eye. Looks nice...Hopefully they will be priced right!